I want my house back! Whether you are bugging in or bugging out, eventually you are going to be holed up somewhere. Most likely you will have a family or a small group around you and that is all. There may be others outside this small group but those others are “them” and we are “us”. To avoid conflict there will be a period of time where we will “hunker down” and wait things out. So how does that work out for you? Most of us have little understanding of what a true “grid down” scenario is like. During hurricane Ike, we lost power but never water and sewer so it was only a partial grid down. That lasted only a couple of weeks but we were still faced with the impact of the loss of electricity. Fortunately, a cold front blew in immediately after Ike so the house was comfortable with everything open. There was no collapse of fire and police service in my area so there was limited looting attempted and none in my immediate area. Nevertheless, it was an interesting dry run and things were learned. We were essentially confined to the house. The roads were open but there was no gas available so travel was extremely limited. The house, front and back yards and the common green belt areas was about it. Much more freedom than if hunkered down riding out a wave of civil unrest of course. So, what is it like to be in those kinds of close quarters? Those who live off grid in areas where you are essentially snowed in several months each winter have some experience with this. For these folks, their life style is planned for this annual event and the people in the house are those that belong there. For the survivalist, the possibility of additional people increases the stress. It is rarely the big things that cause problems. Each of us has our own habits that can send others up the wall. Start with loss of room. My study just became a storage room because the storage room just became a bedroom (a little irritant). Someone fills up a coffee cup then drinks half of it and pours out the rest and refills. That is waste that I don’t need (a little irritant). A refrigerator is opened to see what is inside (an irritant not only because I have to crank up the generator to allow it to cool back down but now we also have an Op Sec problem). The constant complaining over the lack of A/C or TV or Radio or SOMETHING to do (another irritant). Having to disposing of extra human waste (dangerous on both the Op Sec and health fronts). Water management – I often enough don’t drink all the water in a glass and just poor out the remainder. Ever leave the water running while you brush your teeth? These are examples of resource management issues that could become a huge issue. Sanitation water must become garden water for example. Getting folks who are used to unlimited water into that mind set will be awkward at best. 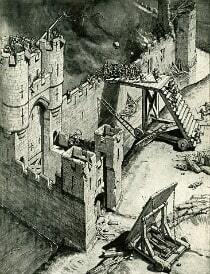 The problem with hunkering down is that it is possible to develop a “siege” mentality. While that may be necessary for a while, it can be difficult to alter the mindset once it is acquired. When the time comes to begin to open up and reach out to others around you, that mentality can make it very difficult. “I survived this long by myself, I don’t need or want anyone else” can become a way of life. I’ve read science fiction where this was called “turning turtle” — go into your hole and put it in behind you like a turtle going into his shell both mentality and physically. That is a dead end to be avoided. The lack of privacy is perhaps the ultimate big issue. One of the problems with any close quarters environment is that human beings need “their” space. There does not have to be a lot of it but it does have to be theirs! Even on the International Space Station the crew members have a private storage area as well as a phone booth size crew quarters. Not much but it is theirs. Everyone must respect the space, however limited, of the other members of the group. Whether it is as small as a foot locker or as large as a room, it is theirs and it is not to be violated without serious cause. This is also a good time to mention personal hygiene. Regular hygiene will be absolutely essential to avoid illness in the group. This may be harder to do on a regular basis than some realize with limited resources but it is very important. 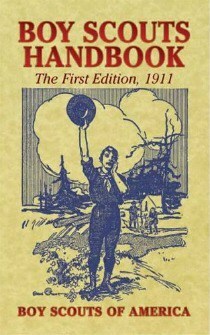 The BSA handbook (prior to the 1970 edition) had excellent sections on survival hygiene. The recommendations there or something similar should be part of the house rules followed by all. Something as simple as body odor can make life very unpleasant in close quarters. Quite a few GI’s have stories of throwing a shower for someone who didn’t stand close enough to a bar of soap. Consideration for the needs of any ladies in the group for both hygiene and privacy must be built in from the beginning. Remember, if the mother is not happy, then NOBODY is happy! Recreation is necessary for mental health. At the same time, it is difficult for groups. With no power it is games and books. Musical instruments if you can play and if the Op Sec allows. Simple games are the best. A game like “Mexican Trains” is perfect in that it can be as short as needed, almost any age can be part of the game and it encourages friendly talk. Games such as this do not eliminate players, like Monopoly, so no one is sitting around idle while the others play. Another plus is that anyone can win right up until the last hand is played. It requires no electricity and only minimal illumination. Fun books for everyone — while serious reading is good, escape reading is also important. I like westerns and science fiction. My wife likes mysteries. We read to each other and that helps us get into the plot. The working on the plot together helps remove tensions. Maintaining physical conditioning or survival fitness is also critical. Without a gym you are own your own. You may not have space for a weight room or even a stationary bicycle. Going out side for a run may not be an option because of Op Sec. Review the literature and get familiar with conditioning drills that can be done without extra tools. Calisthenics or similar exercises work, require little prior investment, relieve stress and help keep you in shape. They can be done in a living room or back yard so they do not compromise security. If a source of electricity is available (preferably solar or wind — assuming the grid is down – generator time is too precious) movies are always a possibility as well as some of the game systems like Wii. Just be sure that if being done after dark the illumination does not pose an Op Sec issue. That of course applies to all night time activity, regardless of the source of illumination. I would discourage the use of a generator after dark as the sound travels and is easily identified. In addition, it uses valuable fuel that may be difficult to replace. After the SHTF you will probably wind up with an ‘elected dictatorship’. Much like the Pirates of old, the captain was elected and remained captain as long as he did the job. I may have founded the group and may be the first captain but like the pirate crew, the group could always elect someone else — then the current captain either became a crewman, loyal to the ship, or he left the ship. (Tough on the old captain if it was mid-ocean) In a crises there can only be one decision maker. Someone whose decisions are not acceptable to the group must be removed from command or the group will fail; most likely at a critical time when failure is most damaging. It is possible to follow the American Indian style of leadership where the tribal chief was not necessarily the “war leader” nor the “medicine man”. Each of these was supreme in his own sphere and such a system did and does work where clear talent in one area should be left to do its job. If your group has a physician, for instance, his opinion on medical matters is almost absolute. The key is to avoid the trap of trying to keep things as normal as possible. THINGS ARE NOT NORMAL! Accept that and establish a structure for all the group members to function within. Create this structure before the SHTF; let all the group members review it and codify it into a set of ‘articles’. These articles should define who does what, how jobs are apportioned (especially the dirty jobs), recreation time, code of conduct and privacy zones. The larger the group, the more detailed some things will be, especially privacy issues. If possible, practice living the plan for a weekend. Then try it for a week or so. Modify it as needed. Some desired changes may be impractical and you need to know that before you need a plan B. If there is someone who simply refuses to function within the group’s structure then you must decide if they are to be allowed to remain in the group. This, like the election of the leader, is a group decision. Once these ‘articles’ are agreed upon, it is not out of line to have everyone sign on. The old ‘ships articles’ that seamen accepted (even pirates signed ship’s articles) before starting a cruise are an excellent method of making sure everyone agrees with what they will be called upon to do. Like the sailing ships of old, two months out at sea (or into TEOTWAWKI) is not a good time to decide you made a bad choice and want to go home. Grousing after signing is simply not allowed. We all will want our old lifestyle back. I had the stuff and hobbies I liked and I was comfortable. I don’t want to change and acquire an entirely new, enlarged family. Unfortunately, I will probably have no choice. Those that might join the group will also have no choice. Abide by the rules or leave. The ‘shunning’ that is practiced by some groups may seem harsh but it is how they protect the integrity of their group. If you move into my house it is by my rules. If I move into your house, it is by your rules. The articles are the rules that a SHTF event will force on us. To survive we will have to work together within our group, even if we don’t like it. I will want my old house, my old life, back but it isn’t likely to happen. If I want my group to survive, I must adapt to the new requirements, even though that means some of my prerogatives go away. If we recognize that our way of life has changed, perhaps permanently we can begin adjusting to our new reality. Having clearly defined roles and responsibilities helps to ease that transition. Refusing to recognize the new reality ensures you are always unhappy, always irritable and less likely to survive.